Rodrigo Villalon has always worked in the landscaping business. 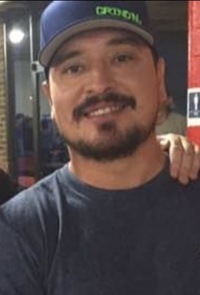 He began his career working mowing for one of the largest landscaping companies in Florida and worked his way up to crew leader before starting Lawn Care by Rodrigo Villalon in 2005. He always knew he wanted to start his own company when the time was right, so he did. Rodrigo now has over 4 employees and services over 120 homeowners. 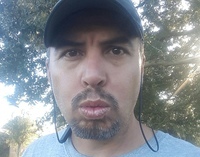 The Tamaulipas, Mexico native has lived in Lithia, Florida, for over two years but has lived in the Hillsborough County area for a total of over 16 years. "We love Lithia and are here to stay," Rodrigo says. "Everyone is so friendly and welcoming that we will probably never move." Rodrigo and his crew service all of north Tampa, Florida, including cutting grass in Lakeland, Riverview, Apollo Beach, Seffner, Ruskin, Plant City, and even mow lawns in Lakeland. When asked what sets him apart from all the other vendors, Rodrigo explained that "I look at every lawn as a way add value to the home." He adds, "I not only love the mowing, but I also enjoy being able to create new looks for the homeowner and make their property stand out in the neighborhood. Every day, I get to do what I love." The grass is not the only thing that Rodrigo and his crew can tackle. They will also handle your mulching, sodding, shrub and bush trimming, pressure washing, gutter cleaning, and any planting needs. "We pretty much can handle anything outside of the home," he replies. "We love being able to help all of our customer with anything they want." Villalon's love for being outside and his love for making things look better are why he has been so successful. "We treat every lawn we service with special care each and every time we mow," Rodrigo explains. "We want to make sure that every customer is always happy and satisfied before we leave." Do you need lawn care or yard mowing in Clearwater Fl? If now just ask and I can provide a recomendation , even if you are wanting to hire lawn mowing services in Palm Harbor Fl GreenPal is setup with dozens of great lawn care services across the bridge. Rodrigo is a huge family guy and devotes every Sunday to his family. No mowing, no business, just family. He has 3 sons and 2 daughters and loves spending time with them. His brothers live in Ruskin so they get to visit on Sundays as well. Rodrigo also loves eating Chinese food from all of the local spots and referees soccer for a men's league in Lincoln Park in Manatee County, Florida. Next time your lawn is needing some professional lawn care maintenance, let Rodrigo and his crew help with any projects that you need. William Prevatt has always been around lawn mowers, weed eaters, and blowers. At the early age of 7, he was helping his dad with his landscaping company. His dad's landscaping company was not your ordinary landscaping company though. William's dad had the grounds keeping contract for Disney World. Previously, William was in sales but decided to follow in his dads footsteps and started Aces Lawn & More in 2013 with his brother Billy. William has lived in Tampa, Florida for over 6 years now but went to college at Antonelli College in Hattiesburg, Mississippi. Being centrally located next to I4 and 275, these two brothers service the entire Tampa area including lawn mowing in Lakeland, Riverview, Seffner, Valrico, Temple Terrace, Plant City, and also will take jobs landscaping in Lakeland. William and his team have grown to over 50 happy customers. "We are very outgoing and polite," Prevatt says. "Southern born and raised, we know the importance of customer service because it's not just about mowing a yard. You need to take care of everyone's lawn like it's your own," William explains. "You also need to treat the customer with the utmost respect. We consider the yards me maintain to be a part of the Aces Lawn and more Family." Aces Lawn & More will not only handle your regular lawn maintenance but will also handle your mulching, low level tree trimming, shrub and bush trimming, sodding, pressure washing and gutter cleaning. He also works closely with a property preservation company and can do minor and major repairs to the inside of the house as well. With his love for being outside and helping people, there is no doubt that William and his brother will continue to grow their business and keep all of their customers happy. When he is not out working, you can find him either fishing or riding his motorcycle. 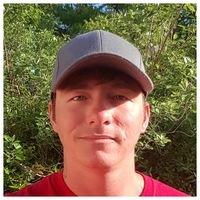 William has a 1997 Honda Ace 1100 that he loves to cruise on and he also loves to go fishing at Ballis Point, Gandy Bridge, and David Island. If you are looking for lawn services in Clearwater Florida just ask and I can give you a referral , even if you are wanting to hire lawn cutting services in Brandon, Fl GreenPal has several good yard maintenance companies in those areas as well. William has two kids, Damon & Jasmine, that he takes to Disney at least twice a month. He also likes to frequent Skippers Smokehouse on Skipper Road and dine at California Tacos. With all that being said, let the dynamic duo at Aces Lawn and More help you with any lawn care needs. They are certain that you will be pleased. I have been in the landscaping business for as long as I can remember. With my father teaching me young,it was something I always seen myself doing. How does your work stand out from other lawn service companies in the area? We will always under promise and over deliver. We treat each yard as if it was a family members lawn. What advice do you have for a customer looking to hire a provider like you? Meet them. Once you do that, you will know what they are really about. With that being said, I look forward to meeting you. What do you like most about the lawn care industry? I love to meet new people. Once meeti g, it makes me happy to build a lasting relationship. Plus, the instant gratification of mowing a yard is great. What areas do you mainly service? Being centrally located next to I4 and 275 we are able to service the entire Tampa area. My name is Maurice and I've been in Tampa for 12 years now and am a University of South Florida graduate. I currently work for one of the local Law Enforcement agencies nearby. I've always maintained my yard, a few people in my neighborhood, my grandmother's, and also my parent's. All with no compensation because of my passion for landscaping. Hence, why I started my own landscaping company, one mainly because it's something I love to do. Another is I'm seeking to soon become my own boss. I'm also seeking to gain more knowledge on landscaping as far as doing curbing, and completely redesigning someone's property. Over time, I've accumulated the knowledge of landscaping, info on different quality equipment, and how having the correct and quality of equipment is important to completeing a job. My goal is to always take care of someone's yard as if it were mine. Also to make yards that I put my touch on stand out from everyone else's in the neighborhood. I service all over Hillsborough County but if you are needing lawn care services in Palm Harbor, Fl or wanting to get yard services in Clearwater Fl GreenPal has got some really solid lawn companies in those cities as well. Also did like to gain enough avenues through the landscaping profession and in turn become my own boss. Dealing with people on a different level of customer service is also eventually my goal of mine whereas I don't get that with my current profession. Greenpal will help me reach that goal and at the same time I can become a part of Greenpal itself becoming a bigger company and expanding . While customer satisfaction is VERY important to me, I'd more than exceed the expectations (as I do now) of the customer and Greenpal, which that will give Greenpal an awesome reputation. On top of mowing, I offer a few other services which include but are not limited to: Shrub removal, Tree Trimming, Clean Ups, Mulch, Sod, and some minor Landscaping makeovers. We will remove trees less than 25' right now. Thank you for considering my company, and I will do more than my best to exceed you expectations! Green Thumb Lawn was started in 2015 by Charlie Harper. After over 7 years working with a larger landscaping company, he decided to venture out on his own. "I know after my first year of working for somebody else that I wanted to start my own company," Charlie says. "I saved up all of my money over the years and the first opportunity I got, I started Green Thumb." Prior to his career in the landscaping business, Charlie was a literal life-saver and worked as an EMT in Hillsborough County. Now Charlie runs a full time crew and loves serving his customers. The Lakeland, Florida native has grown his lawn mowing empire to over 110 residential customers and also has commercial accounts including all of the PDQ restaurants in Hillsboro County and various Dollar General stores. "We service everything east of Interstate 275 to South Tampa," Harper explains. "We mow lawns in Lakeland, Seffner, Valrico, Lithia, Plant City, and even have done some landscaping in Lakeland." When asked what has led to his business' tremendous growth, Charlie stated, "following up and communication with the customer." He goes on to explain, "When you are honest in your pricing and in your work, the homeowners will show loyalty and will tell their friends and neighbors. Every time we cut it's like an audition for the neighborhood. We love getting referrals and having people admire our work." Other than your regular landscaping needs you can also rely on Green Thumb to get your aeration repair and installation done, mulching, sodding, clean outs, pressure washing, low level tree trimming, shrub and bush trimming, pressure washing, gutter cleaning, and pesticide work done. If you are wanting lawn mowing services in Wesley Chapel, Fl or wanting to get lawn services in Clearwater Fl GreenPal knows some really good lawn companies in those areas also. When asked what drew him to this industry, Harper explained that he "loved being outside in Florida." "It's great to be able to make the landscape change and make it look better than it did before," Charlie says. "Nothing else I would rather be doing than mowing lawns here in Florida." When Charlie is not out running his company you can find him spending time with his 11 year old daughter and his 5 dogs. Charlie has a black lab, two Jack Russell's and two terrier mixes. Bear, the black lab, has been known to sometimes help Charlie on his mowing routes. If you lawn is needing a little CPR to get it back into shape or just the occasional lawn maintenance, let the pros at Green Thumb Lawn Services get you squared away. Hello! and thank you for stopping by GreenPal online ordering page for lawn care services in Lakeland Florida, if you are needing lawn mowing or yard cutting in Lakeland you are at the right place. My name is Gary and it's my job to get your free lawn cutting quotes for your affordable lawn care service. If you’re ready then go ahead and click the orange button at the top of your screen to get started on five free yard mowing quotes for your home in Lakeland, FL. You might be wondering how does GreenPal work? Well, let me explain, GreenPal does the hard work for you a finding the top 10 best lawn care services in Lakeland Florida and Polk county. We go out and do the hard work of interviewing dozens and dozens of lawn mowing services throughout Polk County , including Plant City, Florida and Winter Haven, Florida. First we check over their lawn mowing equipment to make sure it is a professional lawn cutting grade, next we check over several yard cuttings that they do for other residents in Lakeland, Plant City and Winter Haven Florida, after that we talk to their other lawn mowing they have done for cutting yards nearby in the Lakeland, FL area. We also make sure they pass our minimum standards of grass cutting and landscape maintenance quality, only after all that we set them up on the GreenPal mobile app so you can order lawn mowing services directly from them with a few clicks of the mouse or taps on the lawn mowing app. Also.. if you are looking for affordable lawn mowing service in St Petersburg, GreenPal has some really good lawn care services there and also offering lawn care service in Brandon, Florida if you have any friends or family that have yards a little west. You probably see dozens of lawn mowing services and lawn care businesses in Lakeland ridging up and down Lakeland Hills Blvd and Memorial Blvd but when it comes time to hiring a decent lawn cutting company in Plant City or Lakeland it can be tough for them to even return your phone call. Well that is where GreenPal comes in. We do the hard work of screening them and setting them up on the lawn care app so you don't even have to make a phone call. Many of the hard-working lawn mowing businesses owners cutting grass on the GreenPal network are college students at Southeastern University, some are high school teachers at the Polk County school system and others are firemen and policemen for the City of Lakeland, Fl that cut grass in the afternoons and weekends to earn extra income. We have found to get the best lawn cutting and lawn care for your yard in Lakeland it is best to work with a small lawnmowing business that is run by an owner operator, however, the smaller more affordable lawn care business owners are busy and get booked up quickly for lawn cuttings, so the GreenPal app enables you to order lawn mowing and yard cutting for your yard in Lakeland directly from them without having to wait for a quote or return phone call. This saves you time and also money on your Lakeland lawn services because the lawn care business does’nt have to spend time driving out to your home to measure your yard to give you a lawn mowing estimate because the GreenPal technology provides all the lawn care services in Lakeland Florida those lawn and yard details for them. You will get 3 to 5 free lawn mowing service prices instantly on your phone then you can read lawn mowing reviews about the different lawnmowing business is in Lakeland Florida and then hire the best yard mowing company that you want to cut your yard and pay for the lawn cutting after you are satisfied right through the lawn care mobile app. it's that easy. Lakeland is a Florida city, east of Tampa with a Downtown’s Munn Park Historic District. The first Paleo-Indians reached the central Florida area near the end of the last ice age, as they followed big game south. As the ice melted and sea levels rose, these Native Americans ended up staying and thrived on the peninsula for thousands of years. By the time the first Spanish conquistadors arrived, more than 250,000 Native Americans were living on the peninsula. Some of these first early tribes were the Tocobago, Timucua, and Calusa. In 1527, a Spanish map showed a settlement near the Rio de la Paz. The dominant feature in Lakeland is the city's many lakes. Thirty-eight lakes are named, with a number of other bodies of water unnamed, mostly phosphate mine pits that eventually filled with water. The largest of these is Lake Parker, which is 2,550 acres in size. Much of the culture of Lakeland revolves around its many lakes, and many people use the lakes as reference points in much the same way that people in other towns use streets as reference points, such as "I live near Lake Beulah." In addition to Lake Parker, some of the more prominent lakes in the Lakeland area are Lake Hollingsworth, Lake Morton, Lake Mirror, and Lake Gibson. Fence around back yard, front was mowed 3 to 4 weeks ago, but the back yard has been at least 2 months. Quarter acre lot, 2 medium sized trees in the front, none in the back. This is a vacant lot that needs monthly mow.